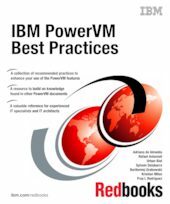 This IBM® Redbooks® publication provides best practices for planning, installing, maintaining, and monitoring the IBM PowerVM® Enterprise Edition virtualization features on IBM POWER7® processor technology-based servers. PowerVM is a combination of hardware, PowerVM Hypervisor, and software, which includes other virtualization features, such as the Virtual I/O Server. This publication is written by a group of seven PowerVM experts from different countries around the world. These experts came together to bring their broad IT skills, depth of knowledge, and experiences from thousands of installations and configurations in different IBM client sites.